During this week of Thanksgiving, I just wanted to let all of my friends, clients, and colleagues know how much I appreciate having you in my life. 2018 has been a year of stellar professional success and a year of loss for me. But no matter what happens, life is much better when you are surrounded by good and supportive people. I’m also grateful I get to live in a place as beautiful and soul soothing as Park City, Utah. 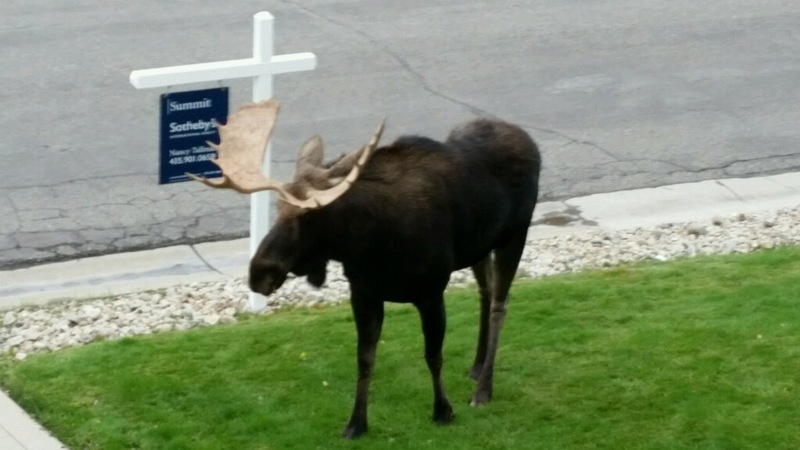 And thanks to my client, Jim, who took this photo of a moose standing next to my “for sale” sign at his house last year.